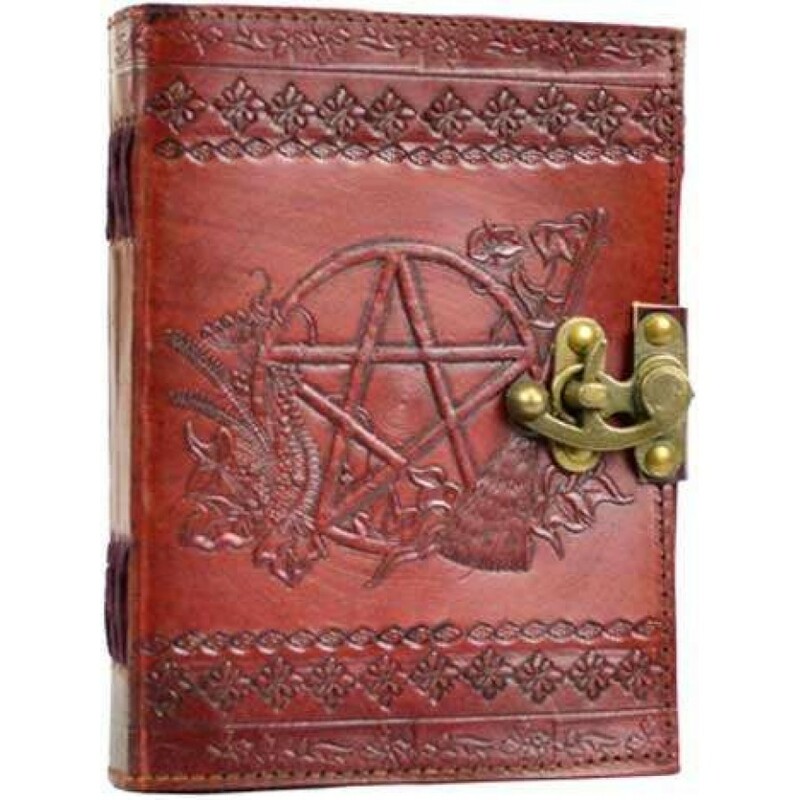 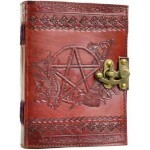 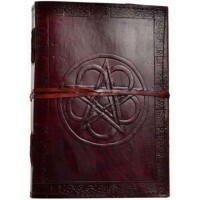 This hand made leather 5 x 7 inch journal has a brass latch and gorgeous tooled design Pentacle with fauna. 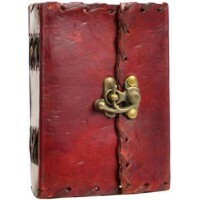 Hand tooled leather cover has metal latch in front and stitched detail. 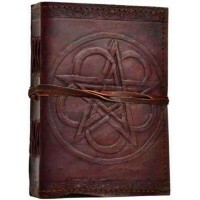 Contains 250 pages of hand made paper. 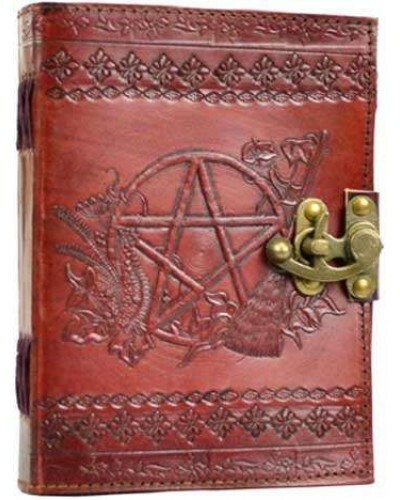 Measures about 5 x 7 inches. 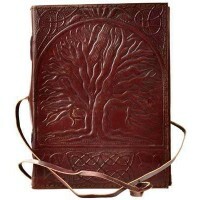 Item Number: AA-BBBLP449 | Approximate Size (Inches): 5.00 wide x 1.00 deep x 7.00 high | Approximate Shipping Weight: 1.25 lbs.